Front Sight: .125” wide x .215” tall, no serrations, black oxide finish, 3/16” hex screw retention. 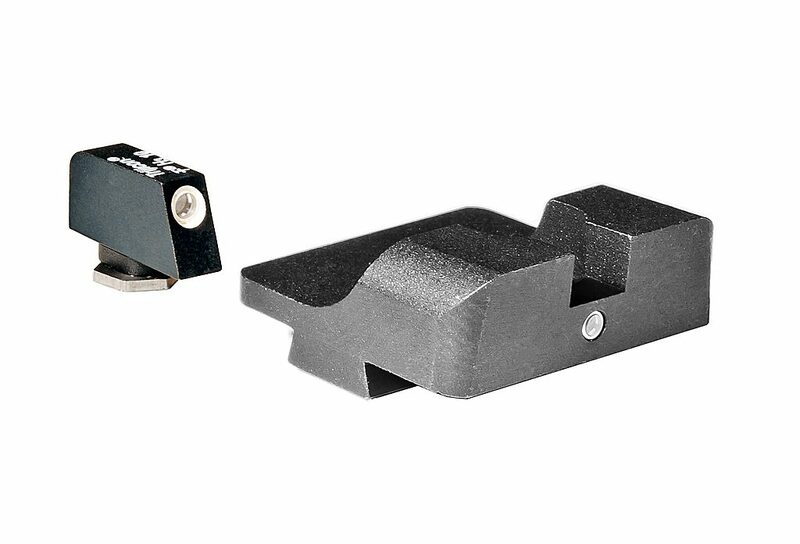 Rear Sight: .150” wide x .120” rear notch, .250” tall, flat back drafted surface (no distracting points, edges or serrations). Tritium installed by Trijicon: large green tritium front with white outline, small yellow tritium rear and vertical two dot configuration. Drift adjustable rear only.